Week 2 homework grades and comments will be in Canvas this afternoon. We'll discuss homework expectations on Friday. 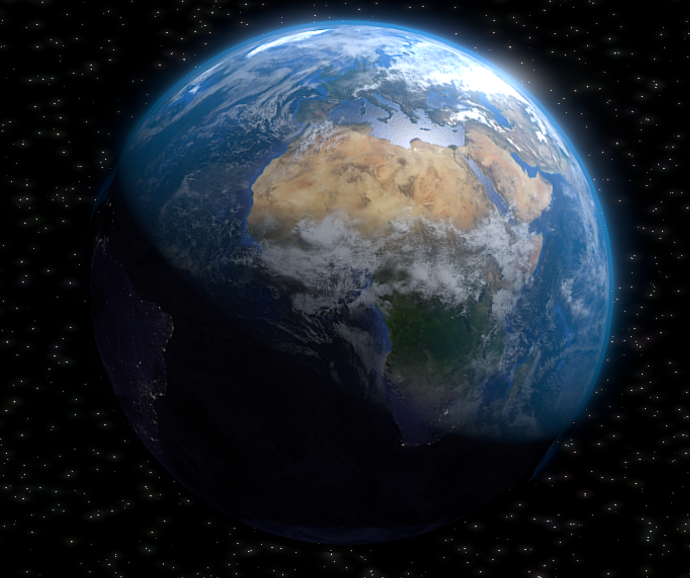 Skepticism about knowledge of the external world. 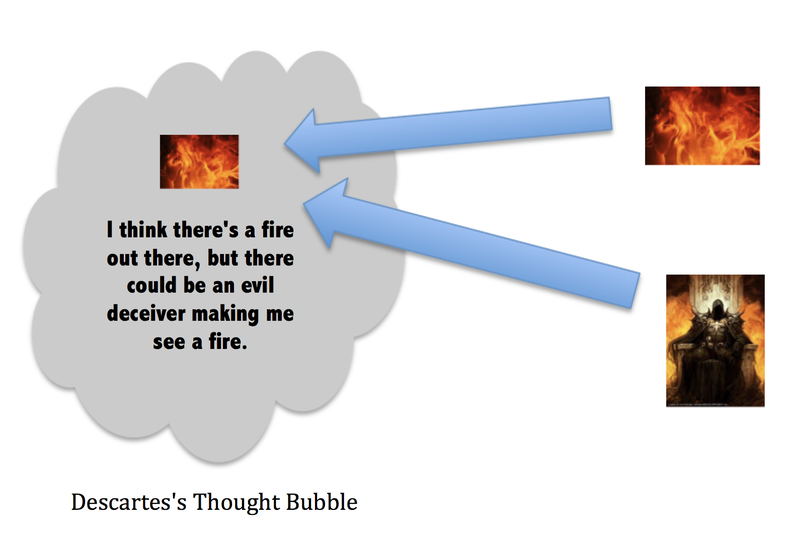 Descartes can't know there's a fire. He can't know anything about matters outside of his own mind. (2) If it were natural, and I did X (e.g. drove in an atypical direction), then I would observe Y (e.g. the usual cars). (3) But when I do X (e.g. drive in an atypical direction), I don't observe Y (e.g. the usual cars). So (4) My world is fabricated by strange forces. What experiment could Descartes do to prove that either there is or isn't an evil deceiver? If this sort of solution could work for Truman, could it work for Descartes? Could Descartes experiment and reason in a similar way? 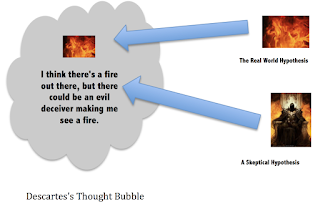 (1) Either the fire image in my mind is caused by a real fire or it's caused by an evil deceiver. (2) If if were caused by an evil deceiver and I did X, I would observe Y. (3) But when I do X, I don't observe Y. So (4) The fire image in my mind is caused by a real fire. GROUPS: SEE IF YOU CAN COME UP WITH X AND Y FOR DESCARTES. Vogel says The Deceiver Argument is unsound. Why is it unsound? Because (he says) premise (2) is false. He talks about a couple of other accounts of why it's false and then presents Explanationism as his own reason. Explanationism. 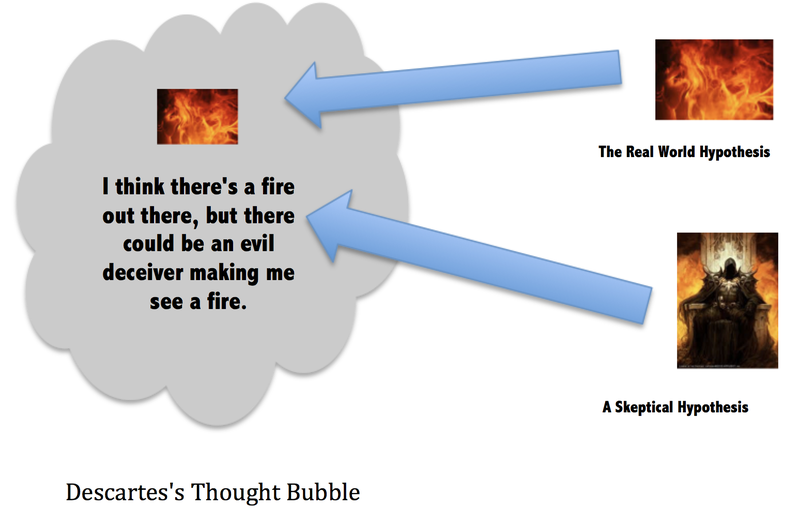 Descartes has two competing hypotheses to explain his mental image of the fire, but Vogel says they are not equal. One is a better hypothesis than the other. So Descartes has reason to choose the better of the two. 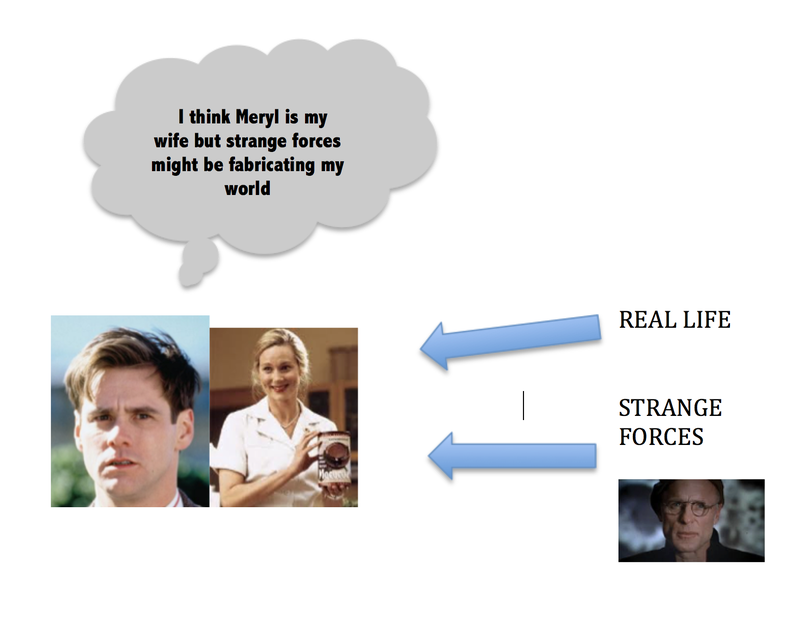 This is known as "inference to the best explanation" and we use this sort of reasoning all the time. If Vogel is right here, then premise (2) of the Deceiver Argument is false. Ex. 1. Dr. G sees his patient Roger and has two hypotheses about what's causing his symptoms. Since the real world hypothesis is superior, premise (2) of the Deceiver Argument is false. We will talk about this solution more on Monday 9/12. Friday we will go on to the next reading. We'll talk about this solution Friday 9/9.